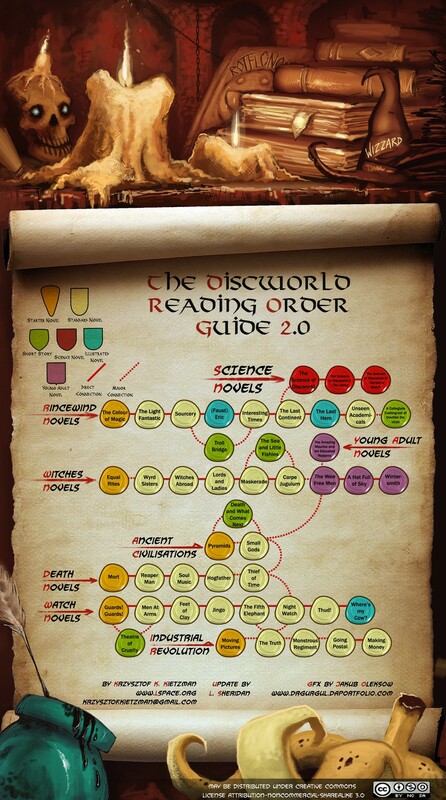 I was having a discussion with a colleague at work this morning about Terry Pratchett’s wonderful Discworld series. He has only just stumbled upon Discworld and was wondering what order to read the books in. I was busy drawing up a little flow chart when I realised that someone, somewhere on the internet had probably beaten me to it. Lo and behold the good people at lspace.org have indeed created such a chart which is really very good. Suffice to say I am very, very impressed!